Mary Scott, the cuisine editor at Charleston City Paper, and Grant, an arborist representative at Bartlett Tree Experts, met on Friday the 13th in 2013 at the Recovery Room downtown. During a chilly January hike in Asheville, North Carolina, Grant proposed with his mom’s 1970s engagement ring. 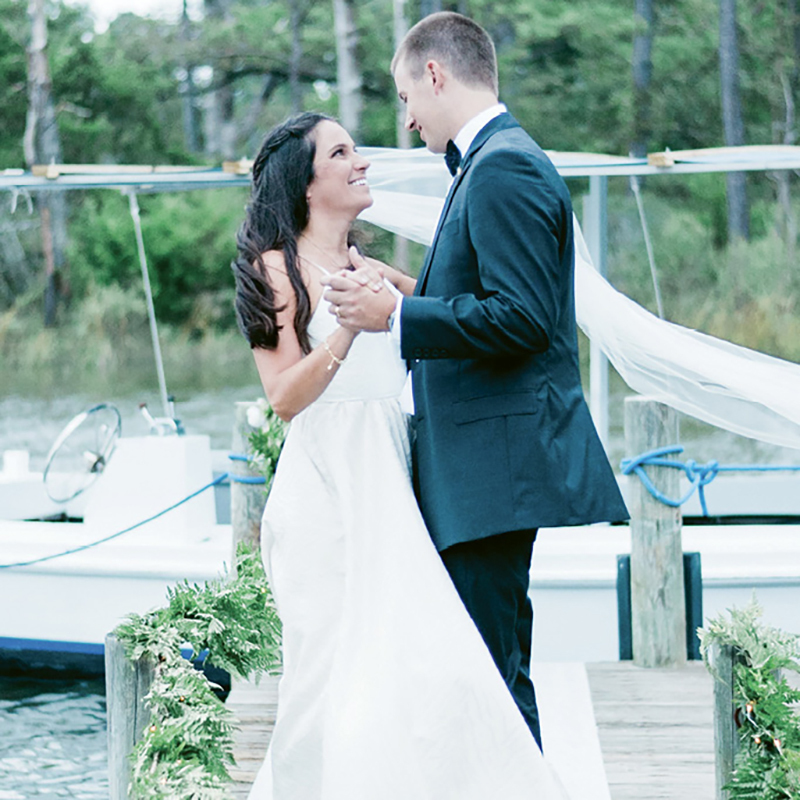 Mary Scott arrived at the wedding in her hometown of Gloucester, Virginia, on her father’s deadrise boat, walking down the dock to the altar, set beneath a weeping willow. The two reside on John’s Island.